AGOURA HILLS, Calif.,- PRNewswire – Wine tasting enthusiasts from around the state competed in the US Open Blind Wine Tasting Competition to become Team USA at the upcoming World Wine Tasting Championship being held on October 13, 2018 in Chateau Saint-Pierre de Serjac, Languedoc, France. On August 11, 2018, 8 teams of 2 converged at the Marina Del Rey Hotel in Los Angeles, CA in hopes of taking home the championship. Each team blind tasted 6 white and 6 red wines from around the world gaining points by identifying its primary grape, country & region of origin, vintage, and producer. In the end two teams emerged as the victors and will be heading to France as Team USA in October. 1st place: Kristin Shubert and Lisa Stoll achieving an impressive 124 points. 2nd place: Gina Cook and Christine Tanaka took second with a strong 91 points. These two teams will now form the first ever all female Team USA Wine. Presented by Wine Acuity, LLC, the Wine Tasting US Open offers wine experts and enthusiasts a chance to compete for the opportunity to represent the US in the World Wine Tasting Competition. Winning this competition isn’t easy. Two of the more challenging wines in the competition confounded all teams for a grand total of zero points scored. Wine Acuity CEO, John Vilja, says “Kristen and Lisa, did a remarkable job. A score of 124 points would have put them in top ranks at the World Championship. In fact, they would have been the champions in 2017 with that score.” Mr. Vilja continues, “They not only identified seven varietals properly, they also named one of the producers correctly, something that is nearly impossible to do.” Mr. Vilja believes the combined skills of the two teams makes them world class competitors and looks forward to seeing them compete, and hopefully take home the victory, at the world championship. 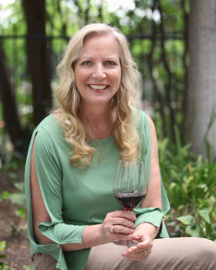 Formed in 2018 to organize the U.S. Open Wine Tasting Championship and determine the members of Team USA to compete in the World Wine Tasting Championships. 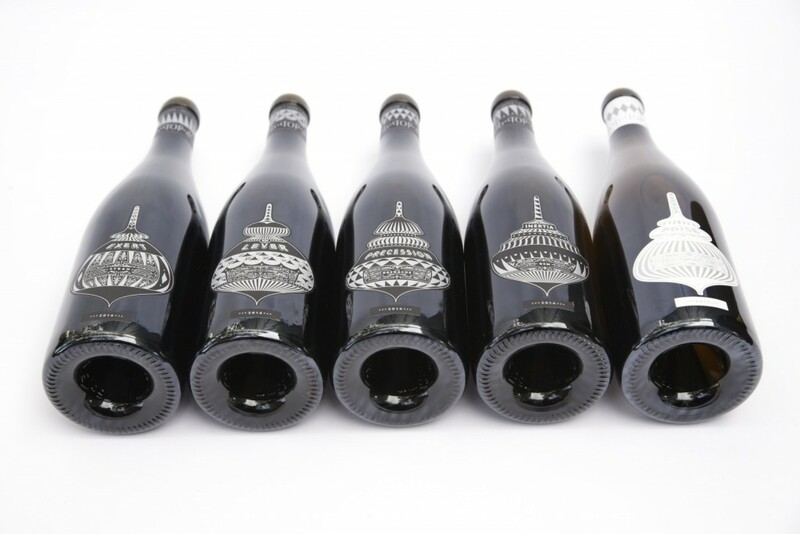 Our goal is to promote blind wine tasting in the United States. 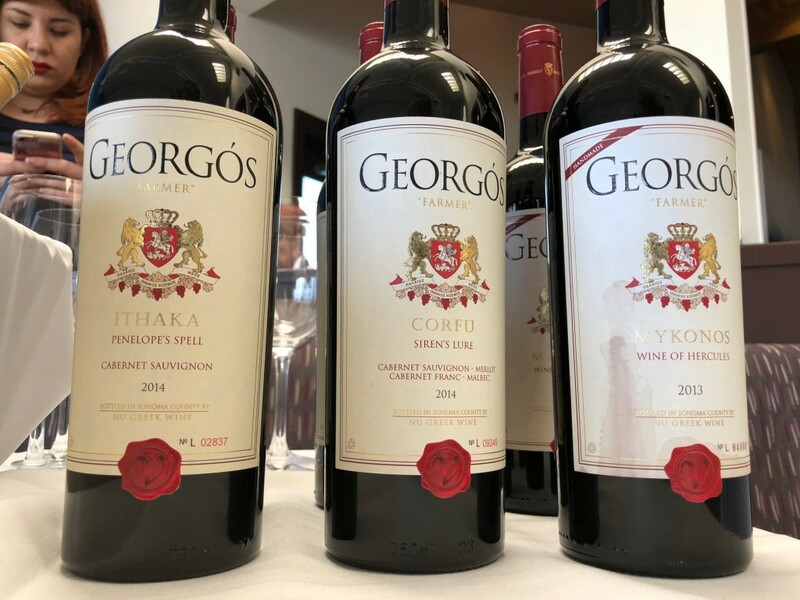 During a wonderfully paired four-course luncheon at Cafe Del Rey in Marina Del Rey, with wines from Georgos Nu-Greek Wines, we sampled the wines listed below. But before we got started we (the “we” being the #LaWineWriters group run by fellow writer Cori Solomon) reviewed the tech sheets in front of us. Robert Rex, the winemaker for Deerfield in Sonoma, is in partnership with Georgos to make the wines in Sonoma, some with 100% juice from Greece, and some blended with Sonoma grown varietals. I had figured that it would be nearly impossible to graft the Greek varietals to our vines successfully as our terroir is completely different, for one in Greece the vineyards are completely dry farmed. I have had plenty of wines made from imported juice as well, and most if not all have been very good, so with that said, I was looking forward to the tasting. Santorini, “Sophia’s Smile”: a 2016 Assyrtiko similar to a dry, crisp Sauvignon Blanc that has citrus aromas with a rich, earthy mineral character, and the acidity to stand up to meat and seafood with notes of lemon and apple. Unoaked. EB: Pale gold to hay in color, aromas of lemon-lime, pear, white peach and wet stones. On the mouth there was that lemon again, pear, mild acidity and a nice light finish. This was served with a Caesar Flat Bread that refreshed the palate and did something amazing to the wine. Ios, “Aphrodite’s Kiss”: a 2016 Dry Rosé of Agiorgitiko (until recently the most commonly cultivated grape in Greece) that has all of the flavor of a Pinot Noir with the crispness of a Sauvignon Blanc. Fermented with skins on for 16 hours, it contains hints of apple and peach. Unoaked. EB: The color of a dark peach with aromas of rose petal and earth, followed by flavors of pink grapefruit, tart peaches, lemon and ash. This was our aperitif wine! Worked well! Mykonos, “Wine of Hercules”: a 2013 vintage Agiorgitiko in the Pinot Noir style that is both light and delicate yet flavor-forward in a Burgundy tradition, with a nose of strawberry patch, a touch of allspice, pepper and sandalwood. Earthy flavors include maitake with a pleasant and multi-layered finish offering faint notes of licorice. EB: Very dark red with a brown edge, indicative of a heavier style wine other than a Pinot, and/or an aged wine. This means nothing compared to aroma and flavor, just an observation. But, then again, maybe it did matter as I got aromas of ripe black cherry, dark chocolate, dust and earth. But what fun I had when I tasted it and got that tart red cherry, raisin and a very dry finish. So the aromas spelled something else to me, but the taste was more Pinot Noir-like. We had this with an amazing dish of Seared Scallop, with tomato aguadulce, and butternut squash! Ithaka, “Penelope’s Spell”: a 2014 blend of California Cabernet and Old World grapes that is dry and big, yet gentle for a Cabernet. It’s perfectly balanced and delicious. The nose is a true Cabernet, offering bits of leather, currants, and blackberries. EB: The label reads Cab and nothing else so that tells me it’s at least 75% Cab. The color was a deep red, aromas of crushed blueberry, stems, chocolate covered cherries and a bit of mushroom. On the palate I noted big red to black fruit, firm tannins and a long finish. This was served alongside lovely NZ Lamb Lollies with polenta, Brussels sprouts and coffee currant sauce. Corfu, “Siren’s Lure”: Georgós third vintage, 2014 Cabernet blend aged a year in the barrel, where Cabernet Sauvignon forms the base, Cabernet Franc gives lift, Malbec adds allure, and Merlot adds enchantment. EB: This would prove to be my favorite wine of the tasting. The label didn’t give the percentage of Greek juice in this wine. A deep purple in color, and a nose of a Bordeaux blend with notes of blueberry, blackberry, violets and bark. It had a nice mouth coating viscosity, with that same blue and black fruit, medium acid and extremely well balanced. The prices for these wines were $18 to $35 I guessed this one to be the $35 bottle, if not, it should be. With the pairing, mouthwatering Kobe Bolognese with tomato, onion and penne, a sweetness to the wine came forward. Marina del Rey, Calif.​ ​​ – WineLA and Marina City Club join together to host ​Lodi in Los Angeles​ on ​February 21, 2018​.​ With approximately 20 wineries set to participate in the festivities, WineLA & Marina City Club will expect to welcome hundreds of wine enthusiasts in a celebration of Lodi Wine Country. Did you know that Lodi has been producing wine for more than 150 years? Its growers are the most prolific producers of Chard, Cab, Merlot, Zinfandel and Viognier. Ian Blackburn says, “Wine quality is at all-time high, and no one delivers more quality at a reasonable price-point than Lodi.” Come and see for yourself just why Lodi is gaining so many wine fans! Among the elite list of wineries showcasing their most popular pours are ​Viaggio, Scotto’s Wine & Cider, Van Ruiten, Heritage Oak, M2, Prie, Riaza, Ironstone, Klinker Brick, Langetwins, Bokisch, Uvaggio, Michael David, OF Oak Farm, Oakridge, Paskett, St. Amant, ​and more. In addition to the wineries confirmed to attend, tickets will include a wide variety of wines to taste and a large assortment of food pairings. The event will begin at 6 p.m. with a ​VIP hour​ including a dinner buffet and older-vintage wines. Vip ticket prices are ​$95 with advanced purchase and $125 at the door.​ ​Regular admission​ begins at 7 p.m, ​tickets are $59 with advance purchase and $79 at the door but ​sell out is anticipated.​ ​Event includes a chance to meet with all the producers, heavy appetizers, music, unlimited wine tasting, and a wonderful audience! Come alone or come with your tasting group… WineLA welcomes wine fans of all wine experience levels. For more information about Lodi – visit http://www.lodiwine.com/ . For event information or to purchase tickets – visit http://www.winela.com/lodiinla or call 310-451-7600. Marina City Club is located at 4333 Admiralty Way​, ​Marina del Rey​, CA 90292]. ​ This event ends at 9pm. Located between the San Francisco Bay and the Sierra Nevada Mountains lies Lodi Wine Country, a region quickly emerging as one of California’s most exciting wine destinations. Over the past decade, 4th- and 5th-generation winegrowers dedicated to the soils and vines have brought creative winemaking and cutting-edge technology to the region, catapulting Lodi into the spotlight. wineLA is about enhancing the wine culture of Los Angeles. We are a part of the LA lifestyle, the wine lifestyle, and celebrate the people, the place, and the passion. WineLA hosts significant events, occasional classes, and tastings of merit. This is phase two of what we started 20 years ago at LearnAboutWine.com – America’s first wine education website and first in wine event creation. 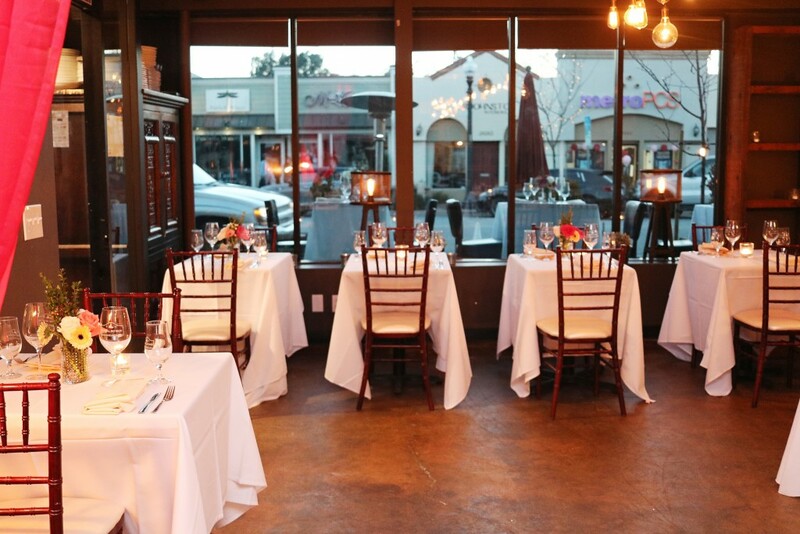 “The Cellar” is transformed into this romantic setting for Newhall Refinery’s Valentine’s Day Dinner. Valentine’s Day Dinner at Newhall Refinery 2/14: Once again Chef Dustin Boole is creating a 4 Course dinner, accompanied by a Beer or Wine Flight, Candlelight, Live Music, and Complimentary Valet. $195 Per Couple. Menu and wines can be seen here in the discussion portion of the event page on Facebook. This is their third year I believe and our favorite. World of Pinot Noir in Santa Barbara March 2-3: The annual World of Pinot Noir event gathers the planet’s foremost Pinot Noir wineries and winemakers, renowned chefs, sommeliers and leading wine scholars in a weekend-long seaside celebration of this delicious and storied wine. Family Winemakers in Pasadena March 17: The Saturday tasting is a one day event of award-winning small, family-owned wineries that create wines from many of the state’s fabled wine growing regions. Imagine the opportunity to taste over 500 wines offered by over 125 wineries. You’ll find upwards of 40 different varietals or blends from 60 of California’s famed appellations. If you can’t get to the wine country let them come to you! Whether you’re adding to your wine list, retail shelves or your private cellar, this is an opportunity to Taste California! Universal Whisky Experience April 4-7 at Wynn Las Vegas: The Nth 2018 will be a spectacular whisky master event, showcasing the best whiskies and brands in the world. This affair is a singular opportunity for serious whisky aficionados to come together to taste, savour, discuss and learn more about fine rare whiskies in the lavish, opulent atmosphere of the Encore at Wynn Las Vegas. During this 4-day destination event in exciting and entertaining Las Vegas, you’ll indulge in exceptional whisky tasting opportunities, mingle with master distillers and blenders, and take pleasure in epicurean delights. The Wine Affair Sip, Stroll and Savor the Sounds April 15 at Westfield Valencia Mall: This event benefits the work from our local Soroptimists of Greater Santa Clarita Valley, aka SIGSCV. Stay tuned to their website for updates. Hospice Du Rhone in Paso Robles 4/26-28: Three days in the late spring have been reserved for an exclusive weekend surrounding all things Rhône. A palate provoking weekend embracing the enchantment, history and tastes of the twenty-two Rhône varieties. Throughout the weekend, tip your glass with international Rhône wine producers, journey through the largest collection of Rhône variety wines on the planet and savor exceptional Rhône cuisine all while taking in the inspiring and spirited Rhône community. Eve has secured Steve Lemley as our co-host for this unique never-before-seen event. Lemley is a well-respected SCV winemaker that co-owns the SCV Custom Crush Services. Lemley will curate our wines from his local facility that houses over twenty different wineries – most if not all will be making their debut that evening – and we will have a winemaker at each table to allow for interesting and knowledgeable discourse. Local restaurants are providing the incredible, multi course meal that will be paired exclusively for you. 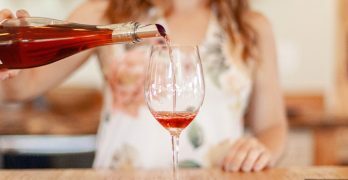 Wine in the Pines in Pine Mountain 6/9: The Village of Pine Mountain Club has hosted wine festivals in June of each year beginning in 2003, and this year is no exception. Mark your calendars for the second Saturday of June each year for Wine in the Pines in Pine Mountain Village. From 1pm to 4 pm (with VIP entry starting at noon), you’ll be able to taste exciting wines from throughout California’s top wine-growing regions, with dozens of premier wineries to choose from. If you need a break from fine wines, there will be many craft breweries to choose from. And then there’s the food: some of Kern County’s, Santa Clarita Valley’s, and our own local (Pine Mountain) favorite restaurants will be on hand to serve you everything from classic European finger food and gourmet pizza to good-ole western barbeque. There’s nothing like pine-scented air and the shade of tall pines to complement the taste of good wine and equally good food, unless it’s live music—loud enough to set the mood, but smooth enough not to ruin it. Wine-themed art will also be on display to round out the afternoon. Wines Around the World wine tasting dinners at Newhall Refinery is ongoing. Quick links from the Dear Wine Friend e-newsletter: World of Pinot Noir 3/2-3, Family Winemakers 3/17, Vintage Paso 3/16-18, Santa Ynez Winter Pass ends 3/31/18 (Pass has been extended, 101 now open + more events in Santa Ynez area wineries can be found here), the Universal Whisky Experience 4/4-7, The Wine Affair 4/15, Hospice Du Rhone 4/26-28. Ongoing: Bev Mo on the Old Road Friday 4-7pm tastings, Events locally at Reyes Winery, Wine House events in WLA, LA Wine Tasting, Monopole Wine events in Pasadena and Eve does Wine Themed Parties. 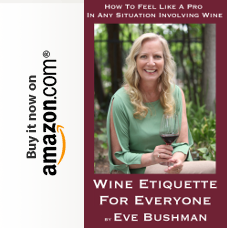 That’s when I learned from fellow wine writer Don Sunderling that Top Winery just got some nice reviews from Jeb Dunnuck, their second release reportedly sold out in 24 hours, and production had only been about 200 or so cases. There was certainly a buzz now. Come to find out, when I joined a few others in the #LAWineWriters group for a wine paired luncheon at Marina Del Rey’s Café Del Rey, that Top Winery is most definitely on social media: @TopWinery on Facebook, @TopWinery on Instagram and http://www.topwinery.com on the Internet. And they deserved to be considered a top winery too. Aromas of pineapple, dried apricot, peach, pear and wet stones were followed by flavors of a fresh fruit cocktail, with a low acid and a nice balance. Very drinkable and a fine first for the winery. I noted dark berry, green peppercorn, soft and velvety aromas followed by big, dark and spicy flavors. Once again Café Del Rey impressed the entire group with their inspired dishes. The first course was Salt Spring Mussels in a smoked potato fennel broth paired with the freshness of the Roussanne. Our number two was a Tri-Peppered Pork Loin and a roasted winter squash with raisins, nuts and cous cous. For that dish we had the Grenache, see above where I noted what restaurant owner Brian Cousins loved about that pairing! For our third course we feasted on Grilled Venison Loin, a sundried tomato risotto with a cognac mushroom sauce; we had that delicious dish with the Syrah I bought. After this second meat I told Cousins that both the pork and venison were outstanding cuts. Our final course was a nice palate cleanser of fruit sorbets. They were perfect but I have to admit, I let them sit a bit while I revisited each and every TOP wine. Husband and wife, Stanley and Elena Martinez, met in high school, pursued their college degrees, then married, made a home for themselves in Sherman Oaks – and were bitten by the wine bug. Their first vintage was 2014. Using fruit primarily from West Paso as that is where Elena proclaimed is where “our heart and our future is” they crafted their first white wine. Currently they are busy with the “long growing year” and are still in harvest for what will be the 2017 vintage, which promises to provide over 1,000 cases. Also, according to Sunderling, Stanley has been mentored by Nick Elliott of Nicora Wines. Stanley, credited for cooking Elena’s food, is also credited for “making my wine.” A nice pairing indeed.